At today's opening of the Bicycle Innovation Lab in Copenhagen we presented the first film in our series about Danish Cycling Pioneers. 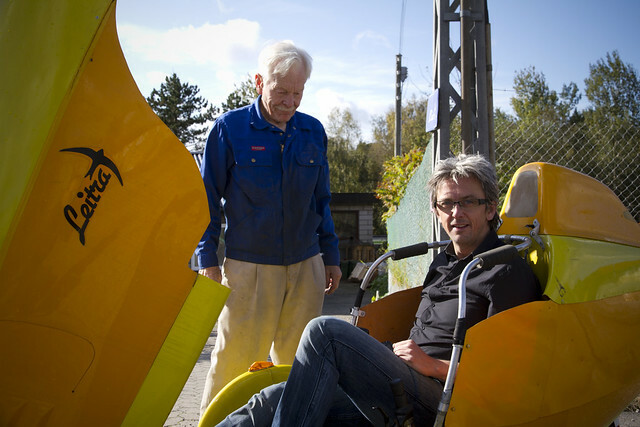 First up is the Grand Old Man of velomobiles, Carl Georg Rasmussen, inventor of the Leitra. We spent the day at his workshop in the country north of Copenhagen and filmed him talking about his passion, his career and his love of his product. 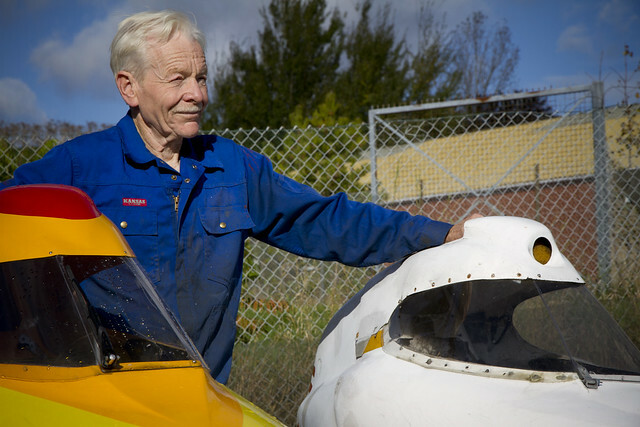 Carl Georg is 76 years old now and he still cycles 10000-12000 km a year. 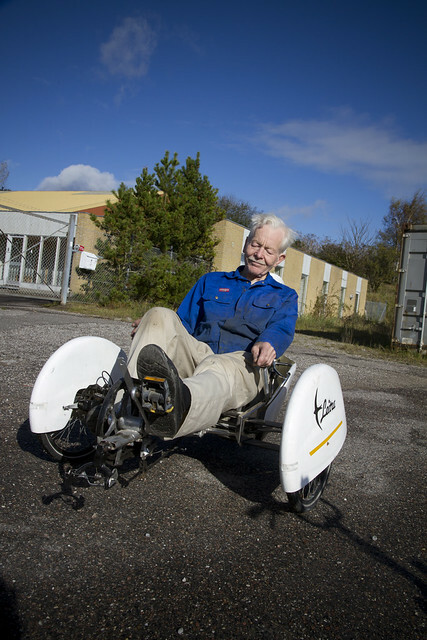 He recently returned from Stockholm in one of his velomobiles (as they're called today). The series is about these individuals and the products they invented. The formation of the idea, the techniques used in developing them and their entire journey. It took two energy crisises in the 1970s for Carl Georg to finally go to work on the Leitra - the granddaddy of all modern velomobiles. He is a civil engineer and he worked on designing planes and gliders. This expertise led to his basic idea for the Leitra. His philosphy was to make a cycle that worked and then afterwards place a cover onto it. His first prototype was finished in the early 1980s and he continued to improve upon the design for many years afterwards. As a boy of 15 he saw a drawing of a kabinecykel - "cabin bike" - in a hobby book from a 1930s model made of wood and he went to work building a version for himself which he rode around in for a couple of years. 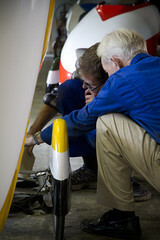 It was heavy, however, and his work in airplane design later led to his use of plastic and carbon fibre for the shell. He called it Let individuelt transport - or Light Individual Transport - and shortened it to Leitra. Interviewing Carl Georg was a pleasure. So many fantastic anecdotes. Like when he was pulled over in 1982 by the Copenhagen police. They wanted to know what on earth he was riding in. "A cycle with weather protection", he replied. They called the station and were told to confiscate it immediately. It sounded dangerous, the way the officers described it. He got it back after writing to the Ministry of Justice's traffic division after convincing them that it was actually a great machine. He took it to the State's car inspection and they approved it except for one point. His eye level was too low and they wouldn't approve it. Fortunately, he had a friend with an MG sportscar and he went to his place and measured the eye level with a ruler. Discovering that his friend actually sat 2 centimetres lower in the MG than Carl Georg in the Leitra. Another letter to the Ministry. He asked them how they could let MG cars drive around, approved, on the streets with such a low eye level. Shortly afterwards he recieved approval to ride the Leitra in Denmark. 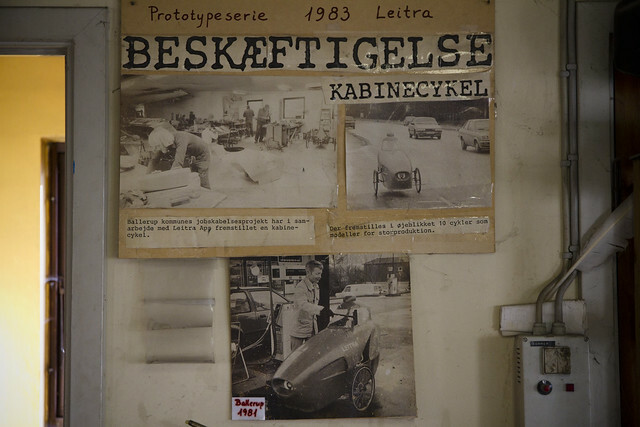 Denmark has never been a great velomobile nation. Carl Georg has survived thanks to loyal customers in Germany, Holland and Austria. He mentions that the Dutch brands, who started ten years after him - and inspired directly by him - had a much easier time of it. They had a home market right away, whereas 80% of the Leitras produced were exported. Carl Georg has taken part in all manner of bicycle events. Paris-Brest-Paris, Sjælland Rundt in Denmark and many others. His Leitra performs impeccably. I had a go, as well. I can't see myself ever owning one, to be honest, but my goodness what a brilliant ride. I got out smiling like a Cheshire cat. Choosing Carl Georg as the first in the series of Danish Cycling Pioneers was a given. 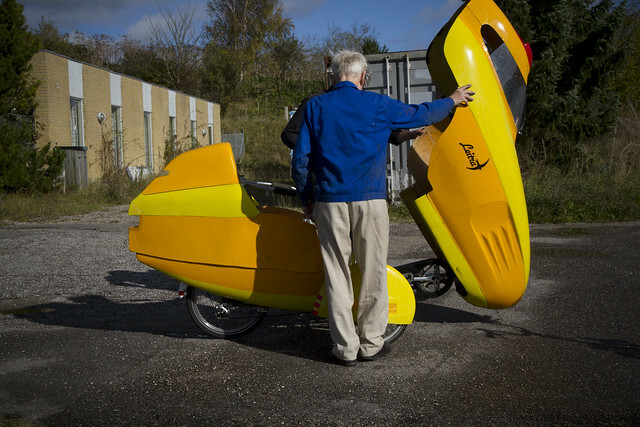 The man who gave Europe the velomobile and who dedicated his life to his work. We salute him. And thank him for his contribution to cycling.